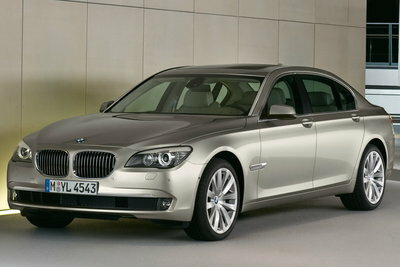 The 7-series continues its tradition as BMW's flagship luxury sedan. The bold exterior styling of new BMWs has proven popular with customers. The 750i/750Li features a 400-bhp V8. This large, heavy car is a technological tour-de-force that includes the complex iDrive system, which centralizes navigation, HVAC and audio system controls. The 750Li model is an extended wheelbase version, adding extra back-seat legroom.